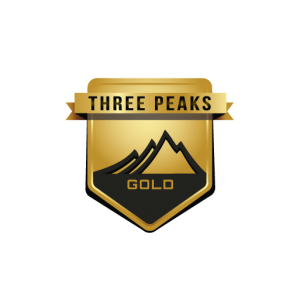 The Gold package is our VIP 24 Hour National Three Peaks Challenge! Climbing Ben Nevis, Scafell Pike and Snowdon in 24 hours is no mean feat; you’ll have to dig deep to ascend and descend around 10000 feet of rocky terrain to get to the finish. Why not let us take care of all the logistics so you can concentrate on the task in hand? We’ll even provide the Champagne for you to celebrate your achievement! On the afternoon before your Three Peaks Challenge we’ll collect you from Glasgow Airport and transport you to your comfortable hotel in Fort William for dinner. After dinner your Mountain Leader will be on hand to answer any questions you might have. On the morning of your event you’ll have breakfast in your hotel before your safety brief. We’ll depart for Glen Nevis around 7 am to start your ascent of Ben Nevis. When you arrive back at base camp we’ll provide a pasta meal for you plus refreshments before embarking on the vehicle for the 6 hour drive to Wasdale Head, to climb Scafell Pike. On your return to Wasdale we’ll have hot bacon rolls, hotdogs or porridge and hot soup waiting for you. The drive to Snowdonia takes around four and a half hours and on arrival at Pen Y Pass you’ll head straight up the Pyg Track to the summit of Snowdon and down the Llanberis Path to the finish where we’ll crack a bottle of champagne to celebrate your achievement! After presentation of your certificates and goody bags plus a chance to freshen up, we’ll take you to local railway stations (Llandudno Junction/Bangor) or Manchester/Liverpool airports for your journey home.